How? HOW?! Why with individual corn puddings, of course. I took a walk through some other recipe notebooks I have, mostly things torn out of Martha Stewart Living, and came across this nifty one for corn puddings. Though the recipe calls for fresh corn, I just use frozen, and this time I added peas to them. I suppose you could even do frozen vegetable medley, too. Why not? Fill up your teakettle and get it going on a back burner; you need boiling water for this later. If using fresh corn, cut kernels off cobs and set aside. 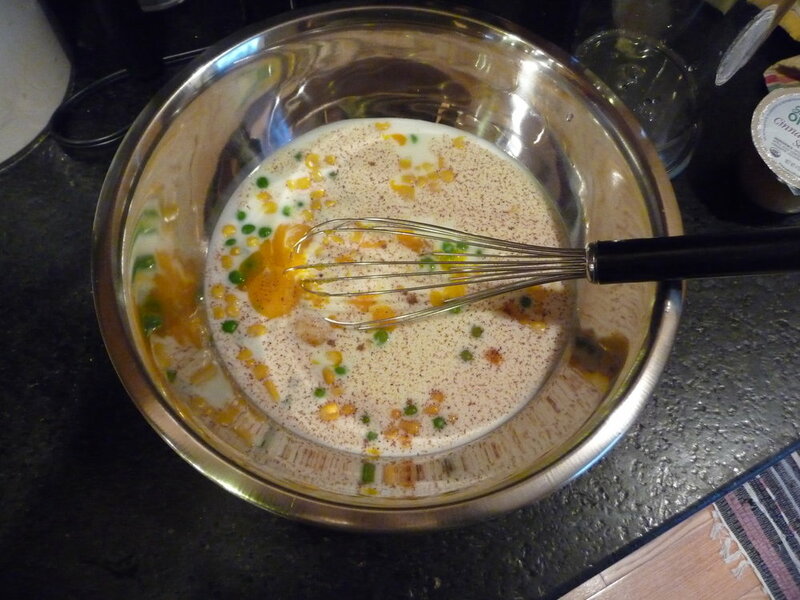 In a mixing bowl, whisk the corn, egg yolks, milk, salt, pepper, nutmeg, and cayenne. 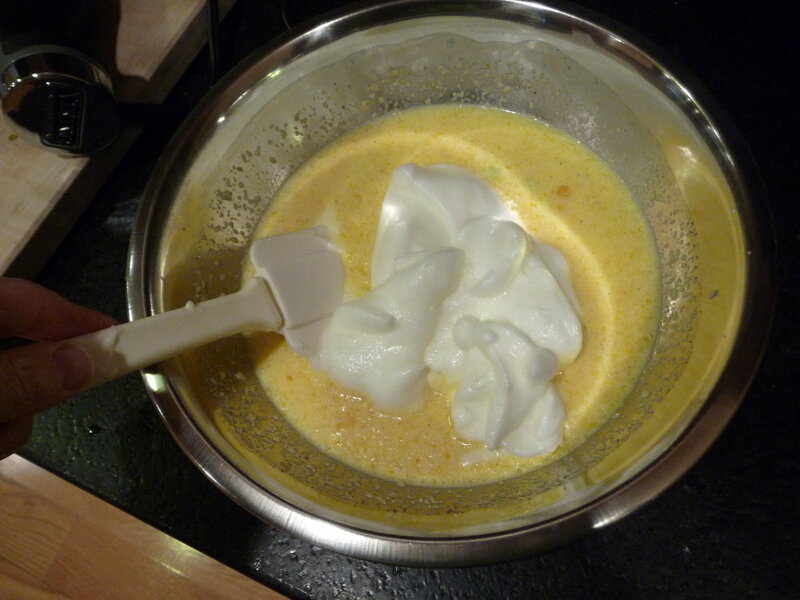 Add the melted butter and whisk to combine. 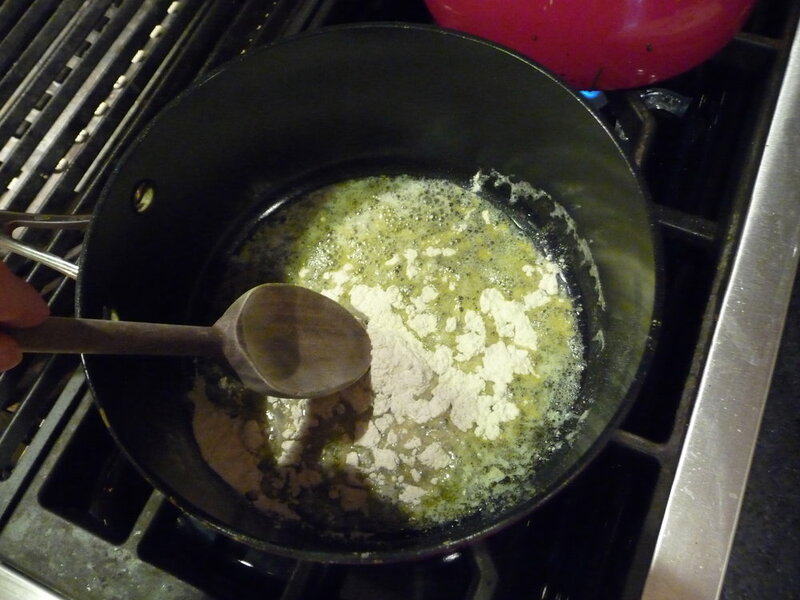 Pour the mixture into ramekins, distributing corn and batter evenly. 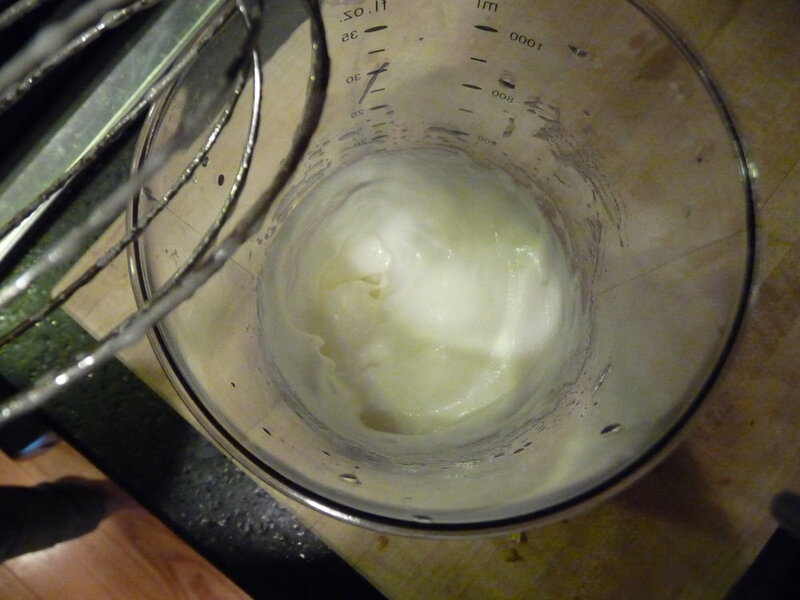 Don't overfill—leave 3/4" at the top to allow puddings to rise. Place ramekins in a baking dish. Fill the pan with enough boiling water to come halfway up the sides of the ramekins. Transfer baking dish to oven, bake until puddings are puffed and golden, 50 to 55 minutes. I took mine out at 50 but they could've used that extra 5 minutes. Using a potholder, transfer ramekins to individual saucers to serve. Best served piping hot if you want ultimate "puff". As they cool, they will deflate somewhat but still be delicious.